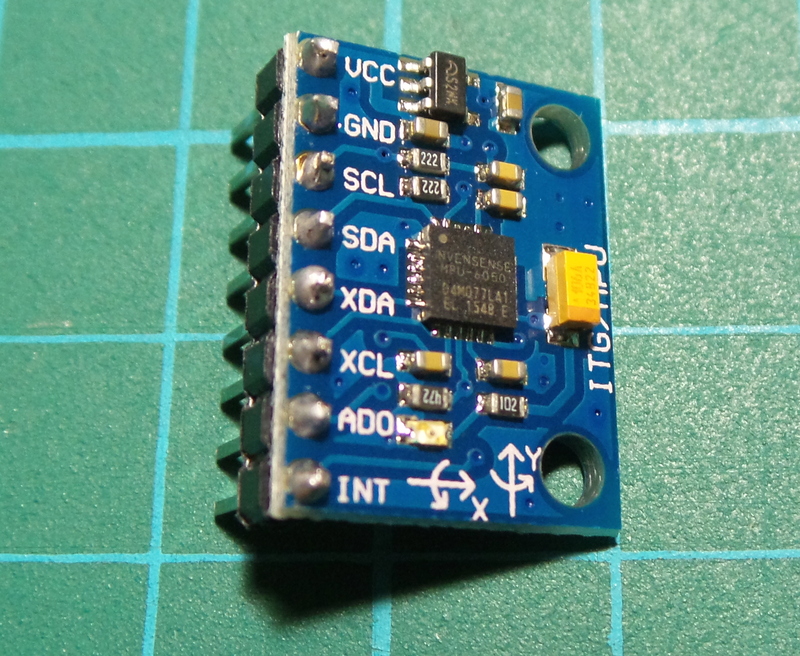 I'm planning to build a controller that needs motion detection, so got hold of an Invensense MPU-6050 3-Axes Accelerometer Gyroscope Module to see if it would do the trick. The module conveniently operates on 3-5V. All I've done so far is a simple sketch to confirm I can read raw values from the MPU-6050 using the Arduino Wire library.